Account Number - Account number assigned to each Voice Broadcast service client. 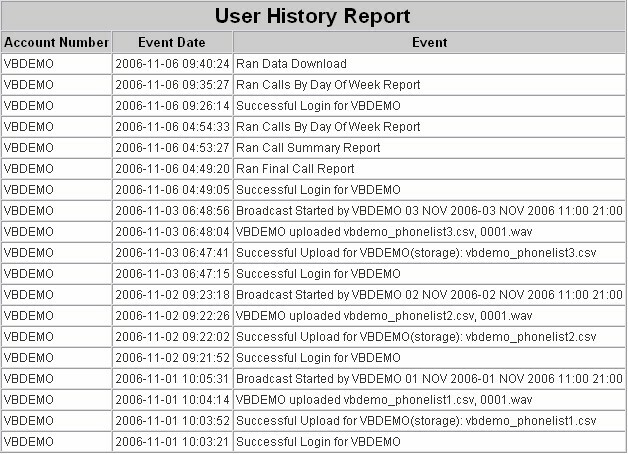 Event Date - Date and time that the user performed a voice broadcast activity. Event - Voice Broadcast event such as download of lists, running voice broadcast, etc. DSC offers an entry level voice broadcasting system that supports 1-48 analog phone lines. Called the WIZARD phone systems, these office environment systems contain computer telephony boards from Intel / Dialogic. These systems are not kits. We custom install your application at our facility and test them before shipping to your facility. Simply plug in your analog lines and follow our simple VB WIZARD to install this system at your location.